This morning, Ducky, Ted, and Blizzard slipped out of the house while Pembleton was working on one of his science projects. They were going to meet Ducky’s old friend Potbelly Phil for a mud party. 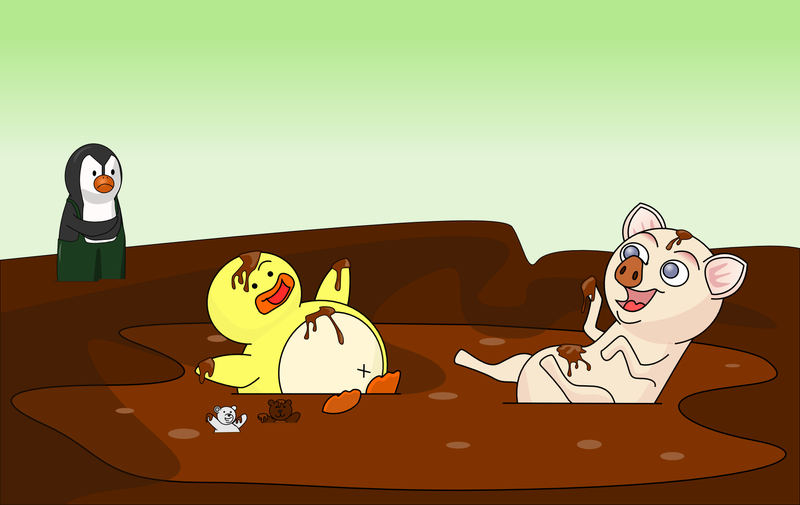 Pembleton never lets Ducky take Ted or Blizzard to play in Potbelly’s mud hole after seeing how dirty the place was. Ducky figured they could sneak out for a few hours before school, and Pembleton would never even know they were gone. Unfortunately, somehow, Pembleton found out.